There are many different types of plants that one can plant in a landscape. There are foliage plants or flowering plants, annuals or perennials, and a myriad of vegetables, trees, shrubs, flowers and grasses. To have a wide variety of plants in your landscape and gardens, pick some of everything. The grapefruit is from the citrus family and is botanically known as Citrus x paradisi. It is a fragrant evergreen tree that gets 20 to 50 feet high with white spring flowers. Types of grapefruit will depend on the cultivar selected. Plant in full sun or partial shade in well drained soil. Propagate via grafting or seedlings in USDA hardiness zones of 9 through 11. The Tatarian aster is from the aster/daisy family and is botanically known as Aster tataricus. It is a perennial that is attractive to butterflies and gets 6 to 8 feet high with large 2 feet long leaves. Flowers are on stalks and are lavender or blue 1 inch wide blooms. Plant a Tatarian aster in regular moist soil in full sun or partial shade. Propagate via division in USDA hardiness zones of 3 through 8. The thryallis is from the malpighia family and is botanically known as Galphimia glauca. It is an evergreen drought tolerant shrub that is easy to grow. It gets 6 feet high and 6 feet wide on average with 1 to 2 inch long light green leaves and yellow flowers 3/4 of an inch wide. Plant a thryallis in bright sun in well drained soil. Propagate via seed or cuttings in USDA hardiness zones of 9 through 11. 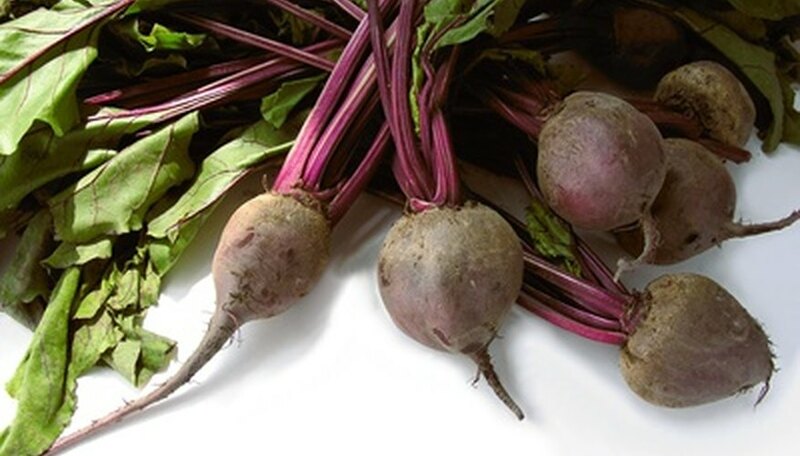 The beet or chard is from the goosefoot family and is botanically known as Beta vulgaris. It is a biennial that will not flower until its second season. It has 4 to 18 inch long leaves red to green in color and the entire plant can get 4 feet tall. Plant a beet plant in full sun in moist soil, but it will also tolerant partial shade. Propagate via seed. The purple heart or purple queen is from the spiderwort family and is botanically known as Tradescantia pallida. It is a perennial that is drought tolerant and easy to grow. It has 3 to 5 inch long leaves, succulent stems and pink flowers under an inch wide. Plant a purple heart in full sun in rich soil. It will tolerant some shade. Propagate via cuttings in USDA hardiness zones of 8 through 11. The fountain grass or giant burgundy fountain grass is from the grass family and is botanically known as Pennisetum macrostachyum. It is a fast growing perennial that gets 4 to 5 feet high with 1 foot long flower heads that look like fox tails. Plant a fountain grass in sun with well drained soil. Propagate via seed or division in USDA hardiness zone of 9 through 10.